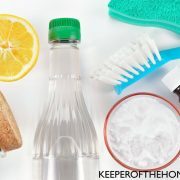 As 2011 comes to an end, we’re sharing helpful lists to help you save money, stay healthy, get organized, creatively repurpose, frugally gift-give, intentionally celebrate and more in our “11 Things for 2011” series throughout these holiday months. Homemade gifts are my favorite gifts to give and receive. A present that is made by hand communicates love and thoughtfulness, showing the recipient they are worthy of your time and energy. One downside to giving homemade gifts is that it can be time consuming. It’s easy to become stressed and overwhelmed with projects piling up as Christmas approaches. Once the ingredients have been gathered, this body butter takes very little time to make. It is extremely emollient; perfect for those with dry skin. In a heavy saucepan, melt all of the ingredients over a low heat. You may also place ingredients into a heatproof bowl and set over a pan with two inches of boiling water (or use a double boiler). 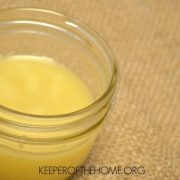 Once melted, pour into a clean jar and allow to cool completely before capping tightly. This amount fits perfectly into a wide-mouth, pint-sized mason jar. 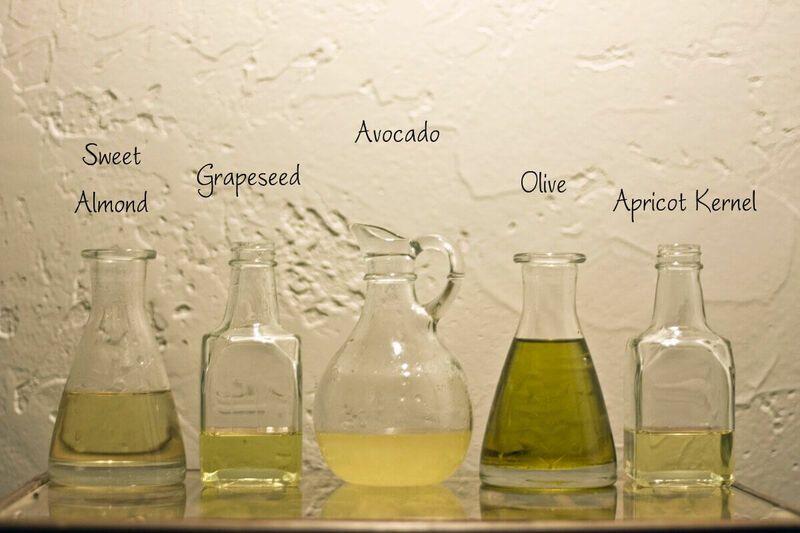 Fragrant body oils can be made in about 2 minutes! They are excellent for dry skin and smell delightful. Follow Crunchy Betty’s instructions (I did last year) and you will have a unique, pampering gift in no time. One of the first homemade gifts I made with my daughter was granola. Even at a young age, she was able to help measure, pour and stir the ingredients and also decorated labels to add to each bag. This gift takes about an hour from start to finish (maybe a tad longer as you wait for it to cool). Once the granola has finished cooking, you will have gifts for five or six people. One of our family’s favorite granola recipes is Earthbound Farm’s Maple Almond Granola (except we switch the canola oil for a coconut or safflower oil). Design Sponge shows you some beautiful packaging ideas. Jasmine of Ponder the Path shows you how to make peppermint lip balm in a video tutorial. 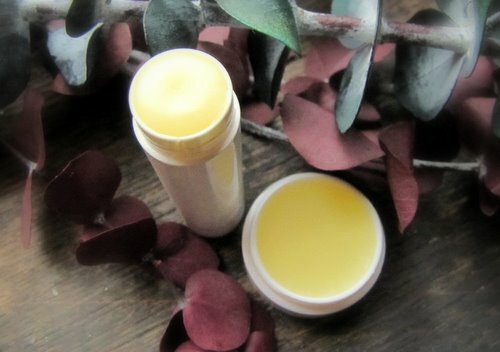 I also have a lip balm video tutorial at Saving Naturally that uses slightly different ingredients. I’m slightly obsessed with making sugar scrubs! It only takes a minute to stir the ingredients together, then you have a special treat that smells great and makes your skin oh-so-smooth. My favorite sugar scrub recipe is: Lemon-Lime Sugar Scrub. It has a wonderful citrus scent. I keep in in the kitchen for when my over-worked hands need some rejuvenating. 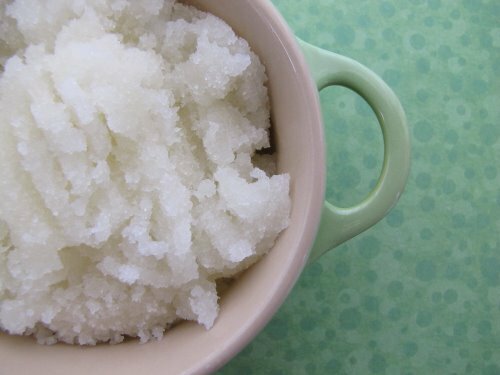 Double, triple or quadruple sugar scrub recipes to make enough for your friends and family. 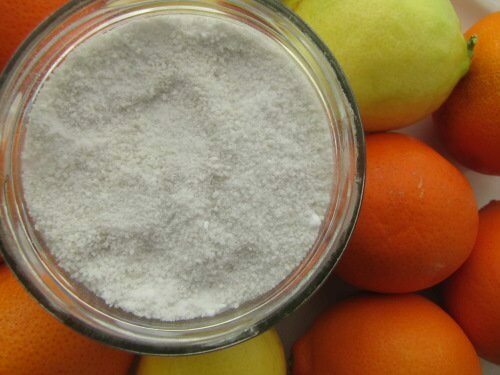 Bath salts are made by mixing salt, baking soda and essential oils together. I used to package bath salts in glass jars (they look so pretty), but have heard stories of jars exploding! So, I now suggest keeping them in a ziplock bag or a plastic container with a tight-fitting lid. Last year I made lots of hard lotion bars following the instructions at MadeOn Hard Lotion. It only takes about 30 minutes (most of which is spent waiting for the bars to cool). It’s easy to make a large batch of bars at one time. MadeOn provides clear instructions in the My Buttered Life ebooks an also has a DIY kit if you would rather not locate and purchase ingredients separately. 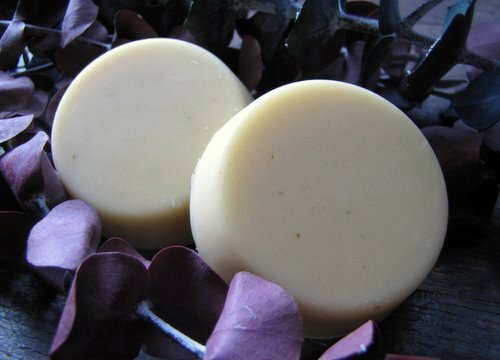 Watch this video to see how to make lotion bars in 30 minutes. 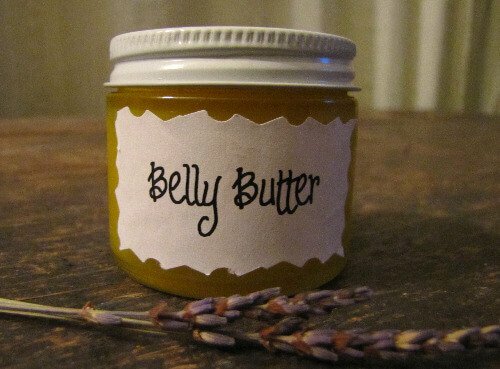 For the pregnant gals on your list, try this homemade belly butter. 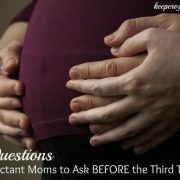 It is yet another melt and pour recipe that takes a few minutes to make. The great thing about gifts in jars is that you can get a production line going. 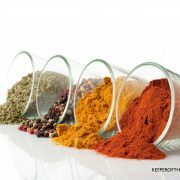 Gather all the ingredients and go along, adding the appropriate amount to each jar. This is an excellent way to knock out a bunch of gifts in one evening. Bakerella shows you how to make Cowgirl (and Cowboy) Cookies in a jar (which are not at all healthy, but fun none-the-less). 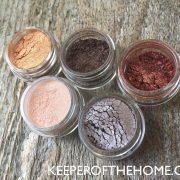 Heavenly Homemakers has a free ebook that includes lots of ideas for gifts in jars including spice mixes, play dough, and soup. Close tightly and shake to blend. Add a label and give! This linen spray can be used on tablecloths, sheets and pillows. 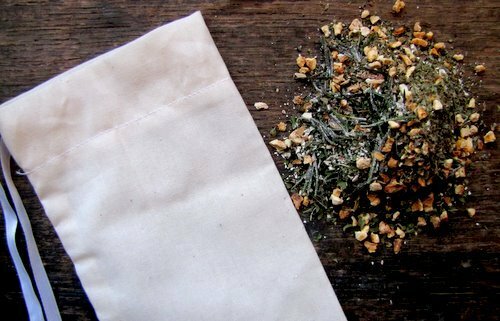 Fill a small muslin bag with dried herbs and add a few drops of essential oil for a relaxing (or energizing) gift. If you would like an actual recipe, this one is tried and tested: Energizing Bath Tea. It’s easy to sew your own muslin bags, even with little sewing experience. If you would rather not sew, buy pre-made muslin bagsor cut circles out of muslin (or another thin cotton fabric), place ingredients in the center and gather up the edges, fastening with a rubber band and some ribbon (I demonstrate how to do this here). 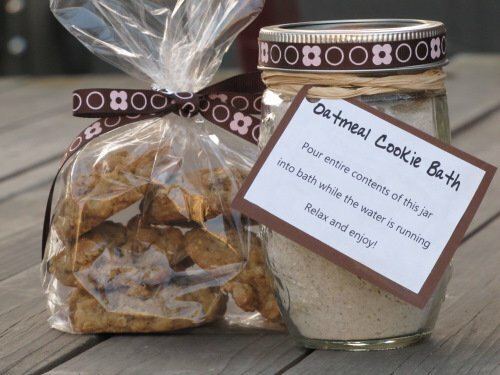 Fill a jar with bath tea bags or include in a basket of other homemade body care items. What simple, homemade gifts do you like to give? I love all of these ideas. 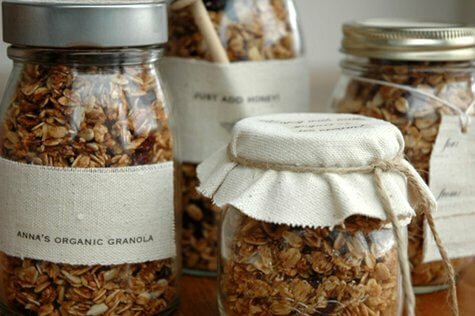 I think the teachers in our lives will be getting some granola in a jar this year. I don’t know why but that I hadn’t thought of that idea before. Thanks for the inspiration! I love all these ideas. Gifts made with stuff I have at home. I want to make some of the body butter and hard lotion bars. Does anyone have any suggestions of what kind of essential oils to use for male scents? My hubby (bless his heart) is “so over” lavender. Any tried combination would be great. Thanks. My hubby likes citrus scents the best, but I haven’t tried that with lotion bars yet. Sweet orange or lemon (or a combination) would be good. Lemongrass is a great suggestion! My husband likes tea tree oil. I think it’s awful, but he doesn’t. He also likes citrus scents too. Would he like vanilla? Cinnamon/clove? I’ve read that men prefer food scents. Last year, we found a way to double our way of blessing through the gift of homemade presents. 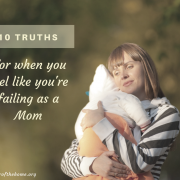 I head up a group whose purpose is to support the mother-daughter relationship. For our gathering in December, my girls and I purchased the jars and ingredients for all the Moms and Daughters to fill, either with hot chocolate or cookie fixins. We provided recipes for them to copy on a pretty card to go with the jar and everyone made another card of thanks. The purpose was to choose someone who you wanted to thank for their service to others. It was such a blessing to bring everyone together to make the mixes, and then send them on out to lots of other people! That sounds like a lovely idea, not just the gifts, but the night of fellowship and work together. 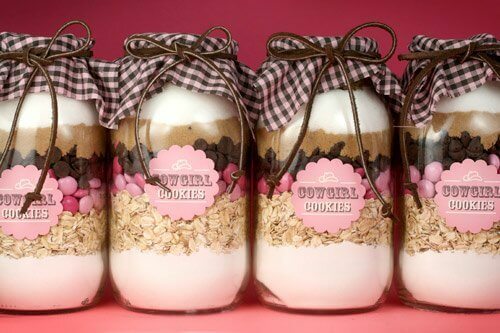 I LOVE the “Cowgirl Cookies” jars! How cute, and the leather ties are the perfect touch. Thanks so much for this amazing post!!! It most certainly will be helping us with our Christmas presents this year!!! These look FABULOUS!!! Budget friendly, great ingredients! I have noticed that it is VERY expensive to ship mason jars to our family in a galaxy far, far away, so I appreciate the wealth of alternative homemade gifts you list. I think we’re going to scratch history and math and do “Life skills” (aka gift-making) in school for the next couple weeks! Thanks!!! this is perfect, and just in time! 🙂 This week, Wildcraftig Wednesday is focusing on herbal gifts. I hope you’ll share this post with us. What about sandalwood? Its a more masculine scent. It looks like you used muffin tins for your mold, which is what I intend to use. How full did you fill them and how many did you get from one batch? I love your site! Thank you!